THE FIRM This firm has made big strides in the IP market and is highly regarded for its expertise on patents, particularly patent drafting. Clients are impressed by the firm’s fast turnaround and the focus and dedication of the team. A recent major case saw the firm represent Tata Chemicals in bringing patent revocation proceedings against Hindustan Unilever. 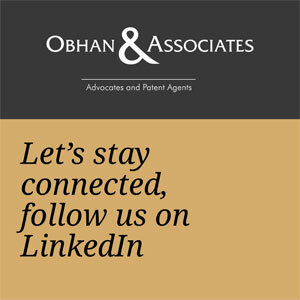 KEY INDIVIDUALS Essenese Obhan is characterised as a “patent expert par excellence.” Clients appreciate his efficiency and his technical and legal knowledge. Peers cite the Tata Chemicals case as evidence of his continuing success. He also handled another patent revocation matter which involved an injunction.